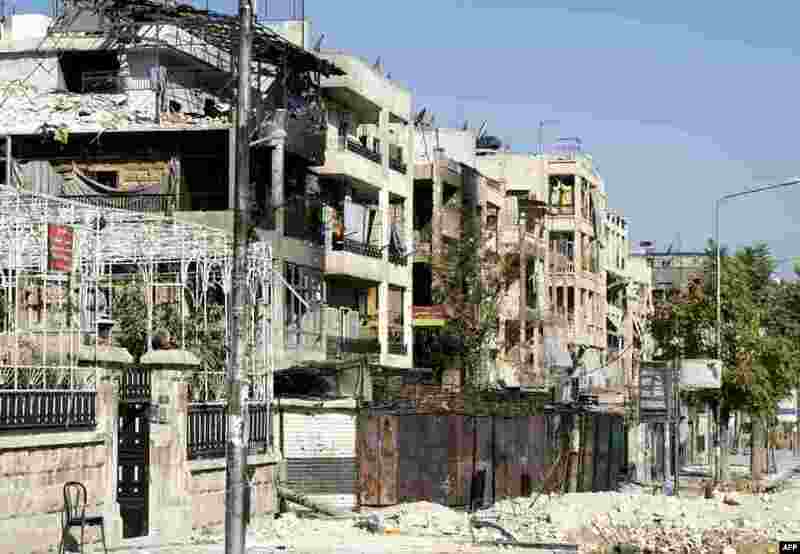 1 Damaged buildings in the northern city of Aleppo following months of clashes and battles between Syrian rebels and government forces, September 28, 2012. 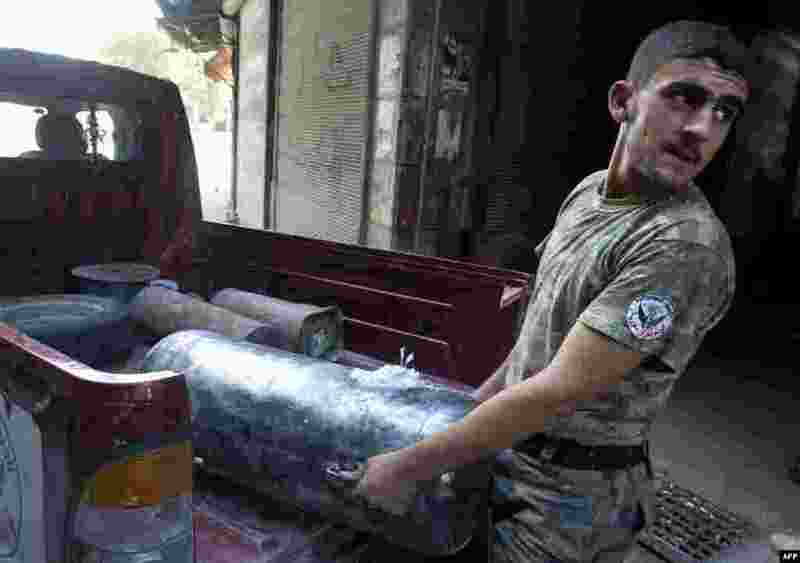 2 A Syrian rebel fighter unloads an Improvised Explosive Device (IED) from a pick up during fighting with government troops in the old city of Aleppo, September 28, 2012. 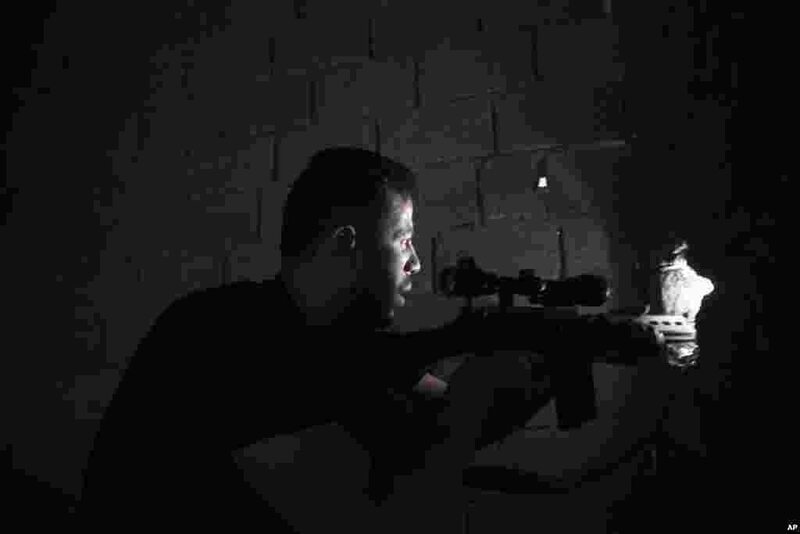 3 Free Syrian Army fighter scans for targets from a building in Aleppo, Syria, September 27, 2012. 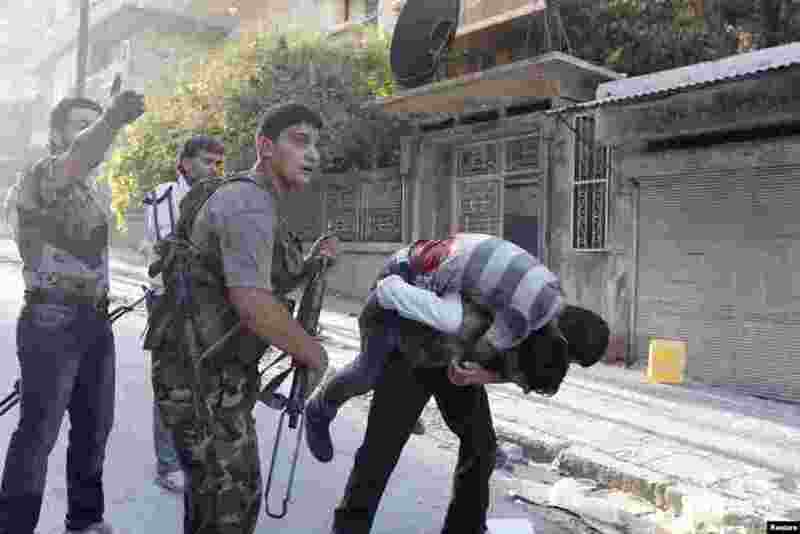 4 A member of the Free Syrian Army carries his wounded comrade who was shot during clashes with Syrian Army forces as others shout for help in Aleppo, Syria, September 27, 2012.